A UK boarding school education ensures students gain good qualifications, confidence, independence and a breadth of interests - a true education for life! The environment of a UK Boarding School is motivating, nurturing, caring and aims to give each child the opportunities to develop their personal talents to the full and achieve their academic potential. One of the key features of boarding school life is the wide range of activities and experiences, which gives boarders the opportunity to develop skills and interests beyond the academic curriculum. These skills and interests often contribute to career development. At boarding school you are living in a community; you make friends for life, whatever part of the world they come from. 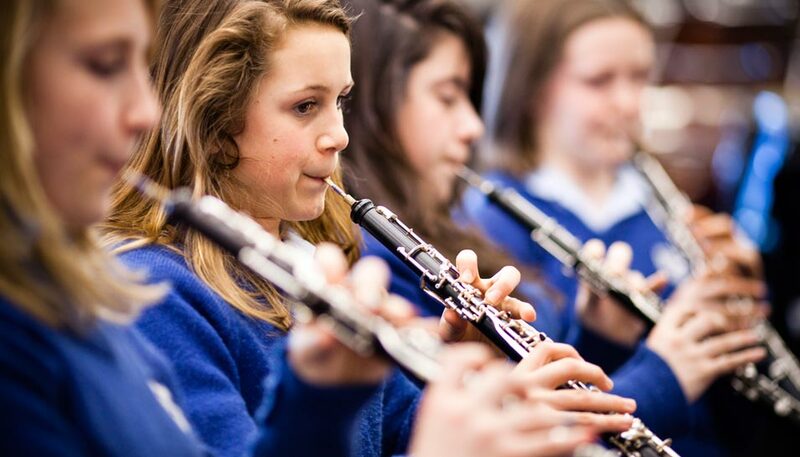 Sports and hobbies, dance, drama, music, art, public speaking, aerobics, philosophy, pottery, gymnastics and much more are all on offer at most boarding schools. Life in a boarding school is excellent preparation for university and employment as it provides many of the non-academic skills that employers are looking for. 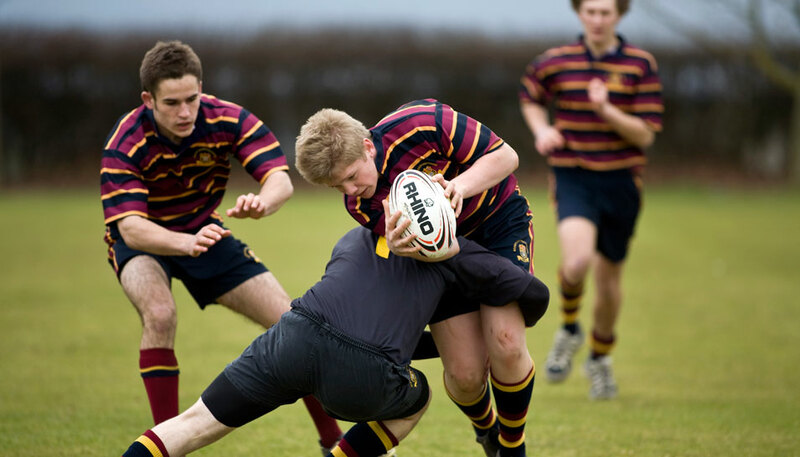 You are encouraged to participate in team events and there are opportunities to be elected into position of responsibility, such as Captain of Rugby, Boarding House Captain, Chairman of the Debating Society, school representative and many more. Choosing a boarding school is difficult enough when you live in the UK. When you live overseas, it makes selecting and visiting schools a huge task. 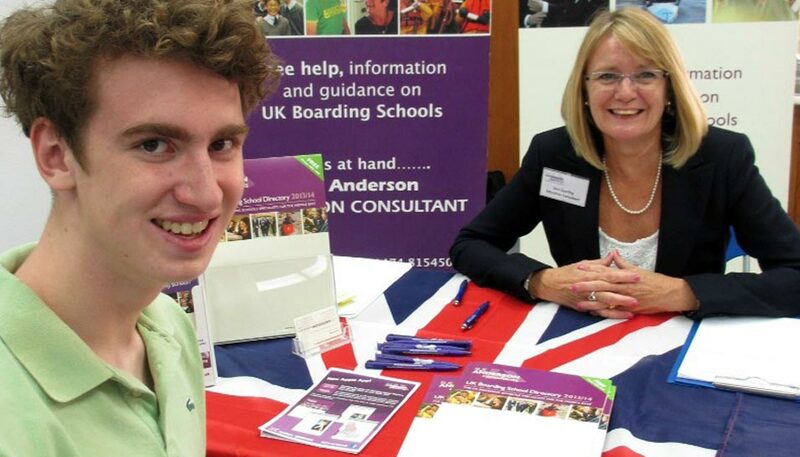 Anderson Education, UK boarding school specialists, offer FREE impartial advice and guidance to families considering a UK boarding school education. We have been working with local and expat families worldwide for the past 25 years; to find the best school for their child to ensure that they develop and grow and achieve their potential academically in a safe secure environment. We have visited over 350 UK boarding schools and are able to recommend schools for you to consider and help you through the process. After our initial meeting or telephone conversation with you when we will ask about your child, their academic ability, strengths and interests, whether they need learning or language support, the preferred type of school and location, we will recommend schools to meet the individual needs of the child and the family. We will arrange for the recommended schools to forward full information to you and/or make contact by email; we will email to you a list of schools that we are recommending for your consideration. We are recommending schools that we have personally visited, to identify their strengths and how they are unique; we are more than happy to answer any questions that you may have after you have had time to look through the information or at the school websites. We encourage you to short list 3 or 4 schools and if you let us know the dates that you can visit the UK we will arrange your school visit itinerary. It is always useful to have a copy of a recent school report that can be forwarded to the schools that you will be visiting as this will enable the schools to tailor your visit to your child’s age, strengths and interests. After the visits we can arrange for any entrance tests that may be required to be emailed to your child’s current school or a local British Council office. Our unique education service is free and impartial to families and we help you every step of the way until you have accepted an offer at the boarding school of your choice. Complete our Enquiry Form or call us on +44 (0)1474 815450 today! “Anderson Education are 'supportive, patient and unobtrusive' they really listen to what your child's needs are and match the child to the school perfectly! When we went to see the school, it ticked all our boxes immediately and Robyn went on to achieve a part scholarship for Drama, which of course we were delighted with! Having to deal with your baby going away is really hard, however, we realised we had to be selfless and Anderson Education helped us make one of the biggest and most difficult decisions easier”. 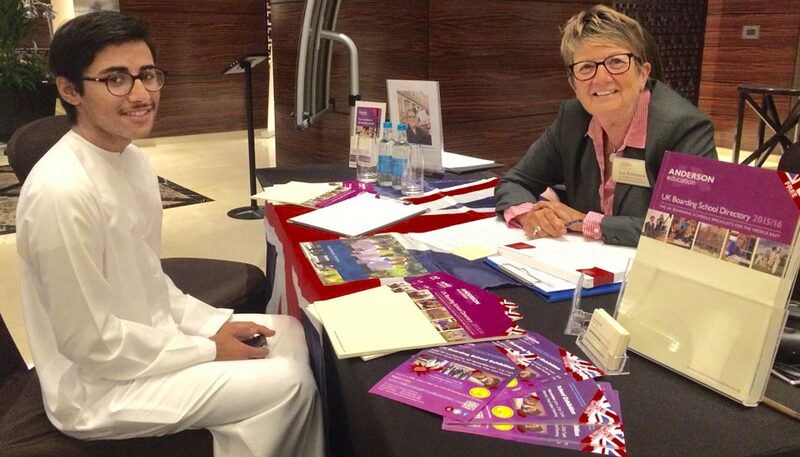 If like many families living in the Middle East you are considering a UK boarding school for stability of education or a stepping stone to university, there is no better place to start than the UK Boarding School Exhibition Dubai. Now in its 12th consecutive year, this well-established and highly regarded event is a good starting point in your search for the best school for your child. It will give you the opportunity to talk to heads and representatives of up to 30 UK boarding schools, find out what the schools have to offer, the many opportunities available and what boarding life is really like. “Anderson Education did an excellent job of finding a boarding school for our two daughters aged 14 and 16. Following a brief from ourselves and several phone conversations Anderson Education immediately understood our requirements in terms of type of school and location. Despite a tight time schedule from us they sent us a short list of schools that met our criteria and within two weeks we were on a tour around Britain to visit the schools. Following an intensive week of visits we were able to choose an excellent school that met our requirements in every way”. Come and meet the Education Consultants for free help and advice on UK boarding schools and summer schools. Collect a free copy of the UK Boarding School Directory. As Education Consultants we have been working with overseas families, international students and boarding schools in the UK for the past 25 years. Although schools appear similar when browsing websites or prospectuses, in reality each has a unique quality. This is where we can provide impartial help and guidance. 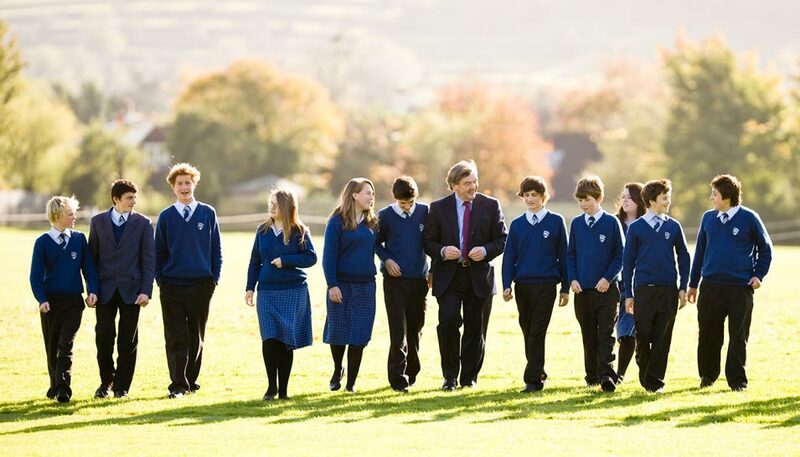 “Anderson Education were superb when we asked for advice on how to select a boarding school. They consulted us on our wishes, and gently guided us as to criteria we needed to consider. They then arranged 4 visits for our children at the schools we had selected. We were on a tight schedule and Anderson Education ensured that our visits were well coordinated and feasible. We selected a school from these visits and our children are very happy in their chosen school. The service was impeccable and I would highly recommend this company for a stress free life changing decision making process”.